Have you got your loved one the perfect Valentine’s gift or are you still looking for that special something? How about a romantic break at a beautiful manor house by the sea with a mouth-watering 3-course dinner and a delicious full Cornish breakfast for two the next morning? Our break can be taken any time up to 31 March 2019 and you can add further nights if you wish to extend your stay. Whatever length you choose, we’ll serve you both a 3-course table d’hôte dinner in Beaucliffes Restaurant on your first evening and breakfast in the morning. You can choose to book ahead and surprise your Valentine or request a voucher and decide when you will take your break together. 1 night in a double room at Porth Veor Manor Hotel valid 14 Feb to 31 Mar 2019 (Additional nights available at a supplement). 3-course table d’hôte dinner on your first night. Full Cornish breakfast for two. Extra nights – £50 per room, Sun to Thurs & £60 per room Fri & Sat. For 1 night stays book online using voucher code VALGIFT. 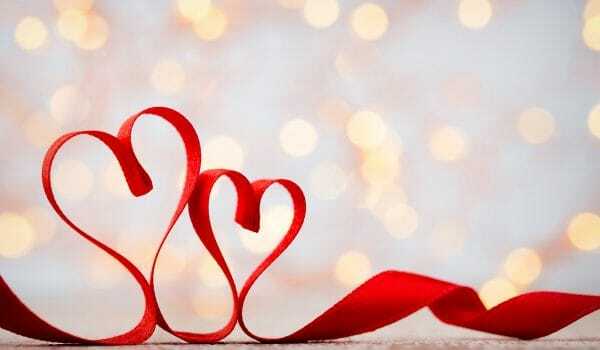 For stays of 2 nights or more or to buy your Valentine gift voucher, call 01637 873274. Not valid in conjunction with any other offer or discount. Order Your Valentine Gift Voucher Today! If you’d like us to email you a special gift voucher to give to your Valentine, call 01637 873274 before 4pm on 14 Feb 2019. Please note that for guests staying up to 31 Mar 2019 we will NOT be charging a beach view supplement due to building works taking place in the hotel grounds to erect five new villas. Work will normally take place between 8am and 4.30pm and we expect minimum inconvenience but out of courtesy wish to advise you in advance of this scheduled work.